Founded in 1910 in Japan, Hitachi has grown into an electronics giant servicing several countries. Their most popular products were their televisions and projectors, but they have offerings in most consumer AV segments. 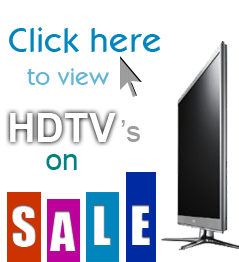 These segments include camcorders, DVD players, home theater systems and electronics accessories. However, the company announced at the beginning of 2012 that it would be exiting the television market due to increased price competition. Exiting a market doesn’t mean that the products in that market aren’t of high quality, though. Read on to find out whether you should still consider a Hitachi television. One of the reasons for Hitachi’s exit of the market is their lack of branding. With competition becoming so fierce in the HDTV market, Hitachi was unable to keep an audience’s attention. Instead of standing out, they blended in with the pack and offered little differentiation in their branding. While companies like LG and Sharp maintain a strong presence in the market through their advertising efforts, Hitachi did little to push their brand in the television market. They instead chose to do a minimal amount of advertising in order to better compete on price. Hitachi televisions are a well-kept secret. A personally owned television has lasted more than five years with absolutely no problems. One frequently reported problem is that some of their older rear-projection models suffered from light engine failures after several years. Aside from this, Hitachi sets have generally received favorable reviews from their owners. The perception of Hitachi as being a brand that lacks quality likely stems from their aforementioned problems with branding. One knock on their products is that Hitachi hasn’t done enough to advance their products. While other companies were moving into glasses-free 3D at a blistering pace and experimenting with 4K resolutions, Hitachi drug its feet. Their primary offerings are their UltraThin LED sets and LCD televisions. While these sets are well-built and can be bought at a reasonable price, the lack of variation among their products hurts their overall quality. We mentioned in the brand review that Hitachi didn’t push their brand that much prior to announcing their plans to exit the television market. This strategy has helped them offer their sets at a lower price than competitors like Sony and Samsung, even though their products are of a comparable quality. Despite a stumble in their overall value with some of the rear-projection sets they were manufacturing around the middle of the decade, Hitachi still offers a great value for the price that’s paid. The only reason that Hitachi doesn’t earn a 5 in this category is because their offerings are so limited. If you’re in the market for a midsized LCD television, it’s hard to find a better combination of price and value than a Hitachi set. But despite planning a glasses-free variant, the company never gained traction in the 3D market. Hitachi also failed to keep up with other manufacturers in offering bells and whistles, such as apps. Because of this, we can’t give them a 5 for their pricing and value simply because if you’re trying to find a 3D television, there is virtually no product to assess the value of. For the most part, Hitachi offers stellar customer service. The tech support lines they offer are very useful, and their agents are generally well-trained and knowledgeable. However, Hitachi’s entire site is a little complicated for one-time users who would be looking for customer service information. One aspect of customer service that Hitachi does do particularly well is offer service manuals and support for their products, including legacy products. This is admirable because many companies don’t make such documentation readily available, so products no longer covered under warranty can be difficult to get serviced. It’s disappointing that Hitachi has been forced to exit the television market. The company has truly done a great job of giving its customers as much bang for their buck as possible. Their exit isn’t even their own fault, either, as supply chain interruptions stemming from the Japanese tsunami helped make it harder for them to compete on price. All of that said, if you’re just looking for an LED or LCD set that is built well, looks great and won’t break the bank, you’ll have a hard time going wrong with a Hitachi. Although every set is different, theirs are generally more reliable than competitors offering sets at similar prices. Unfortunately, we can’t give them a higher rating here because their television sets just aren’t future-proofed enough. If you want a set that’s going to last as your main one for the next five years or more, most of Hitachi’s offerings will come short in terms of features. Still, as a secondary television, Hitachi is a great pick. for 22 years & have not had any problems with it.